Attractive and professionally designed the NST brochures are a great way for practitioners to promote their NST practice and increase their client base. 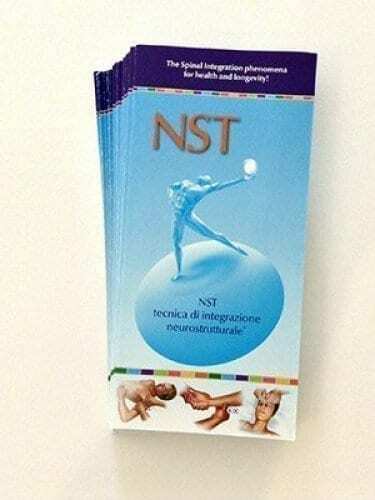 Inside the colourful NST brochure outlines a brief description of NST Spinal Integration and also provides important information on muscle tensions and conditions that respond well to NST. The back section contains further information on Symptom Reversal, History & Development and Michael Nixon-Livy. Importantly there is a useful blank space provided for the practitioner to also insert his or her own personal details or stamp.